Medium-sized pellet coral food. 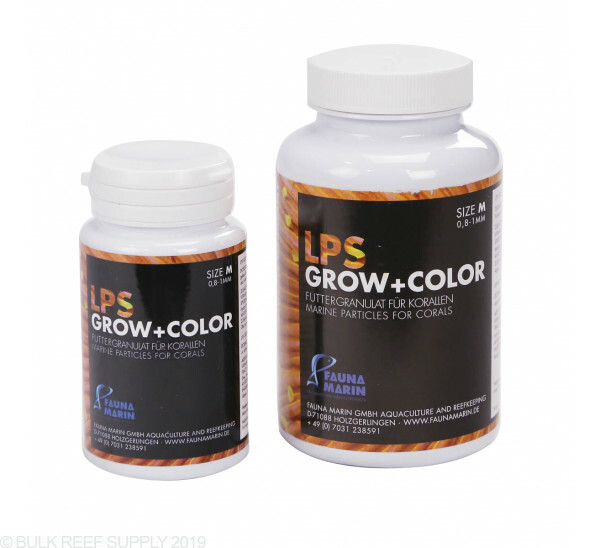 Specially formulated coral food for colored LPS and other Azoox corals. My acans were looking a little deflated so I picked up some to see if they'd like this better. After one feeding, i've never seen my acans puff up so much. They are always looking to feed now. It has definitely made it's way into my regular feeding schedule. Only tough part is keeping shrimp and crabs away long enough to give the acans a chance to eat. My scoly, lobo and duncan's love this stuff too! Got these to feed to my acans. Medium pellet? They are more like crumbs. They are very tiny. I tried to feed them to the acans and they spit them out. $25 wasted. Most of my LPS love this food - only problem is keeping the shrimp and hermit crabs from stealing it! A little goes a long way - no need for 250 ml size unless you're running a coral farm! My corals love this food. I had not tried a pellet coral food before. I am pleased with the results. Easier to target feed, than frozen food. you avoid all the waste that the corals don't catch. Also, you don't have to turn off all your power heads. Part of my feeding regimen now. My corals act like it's thanksgiving with this stuff. It's fun to see them work it toward their mouths, then gobble it up, then look incredibly healthy. Only issue is the shrimp love it more so you need to chase them away long enough to give the coral time to make it disappear. My tank is full of filter feeders, hard to feed fish, and meat loving LPSs, so it gets fed a lot, and a great variety of foods. This has been the latest addition to my tank's menu, and while it is still early, I'm already impressed. The acans gobble it up like it's going out of style, and a single dendro I was afraid was headed for death (changed my lighting system recently, and while everything else took it in stride, the dendro was less than happy) started engulfing the pellets I sprinkled on it within seconds, despite having refused mysis, nutimar ova, reef chili, and cyclopeze for weeks. While the dendro is still not staying out much, it comes out and eats heartily as soon as I put a couple of these on it, and remains out after devouring those to gorge on everything I can squirt its way. Hopefully given another couple weeks, it will be back and better than ever! I have never seen LPS coral eat something so fast. Both my duncan as well as my Blasto love this. 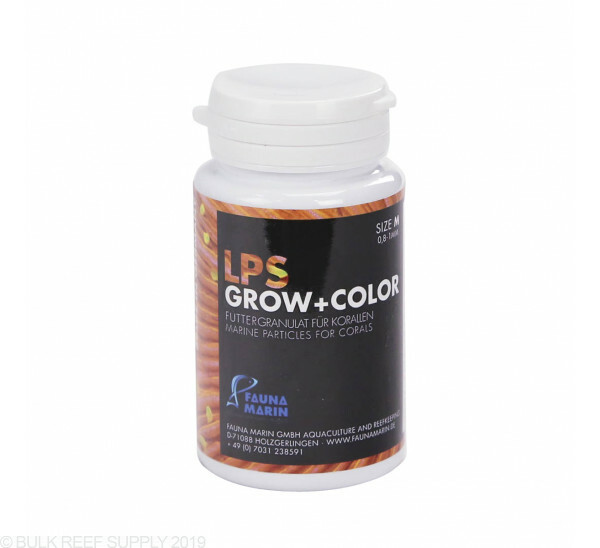 This is definitely a great option to have to make sure your corals are getting the proper nutrients they need. Almost all my LPS (exception of alveopora / goniopora due to their small mouth size) eats this product. The pellet size is similar to "Hikari Seaweed Extreme Small Fish Food Pellets" and it's about 1mm in diameter. Since I got this product, I no longer feed brine shrimp to my LPS. I target feed Button Coral, Meat Coral, Short Tentacle Plate Coral, Acan, Duncan, Bubble and Hammer. The product remains solid while feeding and it doesn't melt away. LPS corals really eat this stuff up nicely! My acans are looking healthier than ever and are coloring up nicely. Is there a shelf life for Fauna Marin LPS pellets if stored properly in a cool and dry environment? Great question! 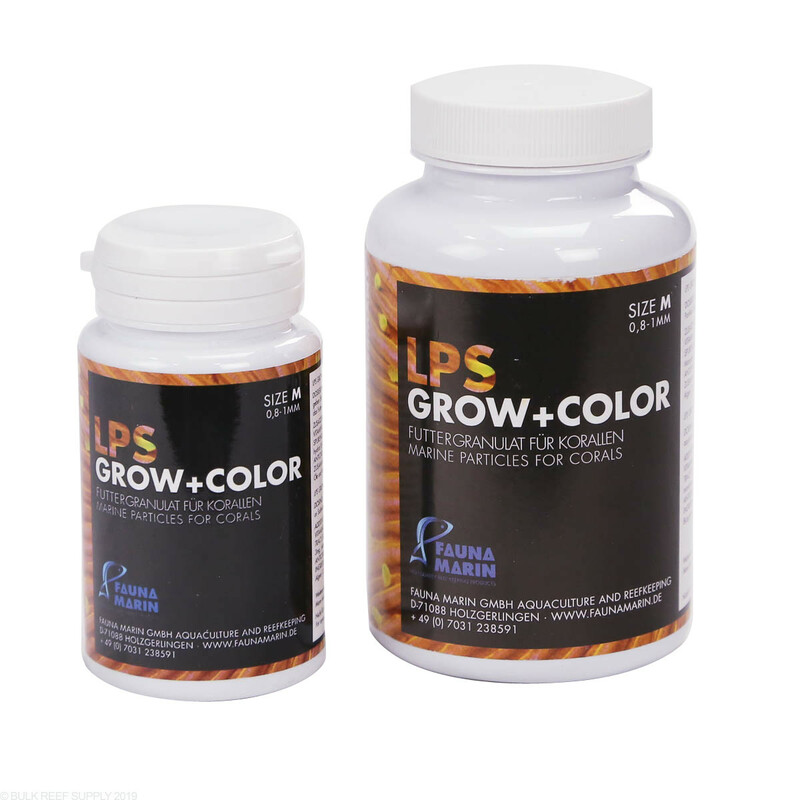 We would recommend using these pellets within 6 months of opening the bottle.